Aloha my friend. Welcome to the best source for information and real estate services covering Honolulu, Kahala, Hawaii Kai, Portlock and other East Oahu areas. 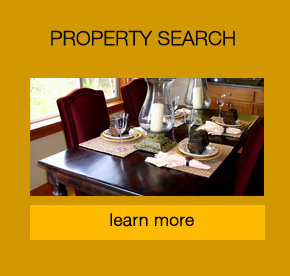 Here you will find everything you need to buy or sell real estate. Did you know that acquiring real estate is the first step to creating personal wealth? We will develop a plan you need to make this happen. I love to work with first time home buyers and repeat home buyers. If you are planning to sell your home we will review the market value of homes in your neighborhood and create the perfect marketing plan to sell your house quickly and for the highest price. Having worked in business for many years with an emphasis on courteous and professional customer service I strive to make your real estate experience the best it can be. My real estate designations include ABR (Accredited Buyer's Representative) CHMS (Certified Home Marketing Specialist) CRS (Certified Residential Specialist) and SRES (Seniors Real Estate Specialist). It is my goal to provide you with superior service. How may I assist you? Specializing in the Honolulu County real estate market, you have found your realtor resource for buying and selling your next home. With expertise in both purchasing and listing properties, all of your real estate needs can be handled. Whether you are looking for a new property or you are in the preliminary stages of a real estate search, you have found the best in professional service. Through this real estate website, you have the ability to search virtually every home for sale in Honolulu and all other local areas. In addition to accessing real estate for sale, this web site features comprehensive community information for Honolulu County that can help guide you in making the right buying or selling decision. You are able to browse exclusive homes for sale, search virtually every listing in the area through the property search, calculate mortgage payments and access home buying and selling tips. You may also learn about Honolulu County Schools through school information. Thank you for visiting and be certain to contact me via email or phone me for immediate professional real estate service.